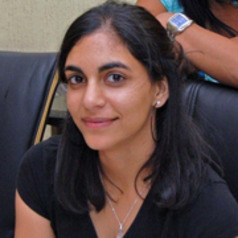 Shehnaz Munshi is a project manager on a randomised control trial in Diepsloot, Johannesburg called the Sonke CHANGE Trial. The project is led by Wits School of Public Health and Sonke Gender Justice; funded through the What Works to Prevent Violence Consortium. She is SARChI fellow through the Centre of Health Policy (CHP) where she is currently completing a Masters in Public Health - Health Policy and Systems (HPSR). Her research focussed on the implementation of Ward Based Outreach Teams (which include community health workers and a nurse team leader) in the Ekurhuleni Health District, in Gauteng. The teams form part of South Africa's plans to reengineer primary health care in preparation for the National Health Insurance. She is an Occupational Therapist with expertise in sensory integration, autistic spectrum disorder, neurological, learning and development disorders; and experience in mental health. Shehnaz is an active member of the People's Health Movement. She is the Vice-President of the Junior Public Health Association of South Africa (JuPHASA) and is part of the PHASA Mental Health Special Interest Group.